Charles Martinet was born in the United States, and spent years living overseas. He has had an acting career of over 40 years. He became famous for giving voice to the most iconic character in the history of video games: Mario, the mustachioed protagonist for Nintendo. The actor’s relationship with the character comes from 1990 when, at the suggestion of a friend, he crashed an audition to play Mario in a real time animation system, where the character would talk with a live audience. The direction was to give a voice to an Italian from Brooklyn, and his first thought was to do a raspy New York accent, but he wanted to do a voice that was more friendly, that would engage people of all ages - so he softened the voice and created it as you hear it today, 28 years later. Woo Hoo! Martinet started working for Nintendo in 1991, as the world’s first performer to do real time animation - as Mario. He recorded Mario Teaches Typing and other games, but it was in 1996, with the release of Super Mario 64, that he first lent his voice to a Nintendo Platform game. Since then he has given voice to several more characters in Mario’s galaxy, such as Luigi, Wario, Waluigi, Baby Mario, Baby Luigi, Metal Mario, and more! You can hear Martinet’s voice in over 100 Mario games, as well as in such games as Skies of Arcadia, Shadow of Destiny, The Elder Scrolls V: Skyrim, in the Bit Trip Runner series, Tiger Woods, PGA Golf, and Lord of the Rings, among others. São Paulo, April 9th, 2018 – It's me, Mario! Charles Martinet, owner of one of the most well-known and beloved voices in the gaming universe, is another confirmed international attraction for the 11th edition of Brasil Game Show (BGS), the largest gaming event in Latin America. Mario's voice actor, a famous mustachioed plumber created by Nintendo, comes to São Paulo exclusively to participate in the event, which will be held October 10th through 14th at Expo Center Norte. Actor and voice actor, Charles Martinet will be at BGS on October 11th and 12th and will have an agenda full of appointments that will please fans of all ages. The schedule includes Meet & Greet sessions, where visitors will be able to take pictures and get autographs with the guest; panel presentations at BGS Talks, where he will uncover behind-the-scenes curiosities of his work; and presence in cosplay contests as one of the judges of the competition. Excited for BGS, Martinet left a message for the fans inviting them to the event. “Mario games have marked generations of gamers and were important in popularizing video games around the world. Bringing the owner of one of the most iconic and legendary voices in the industry to BGS is a source of great honor and I'm sure it will be a great attraction for visitors of the event”, said Marcelo Tavares, CEO and founder of Brasil Game Show. 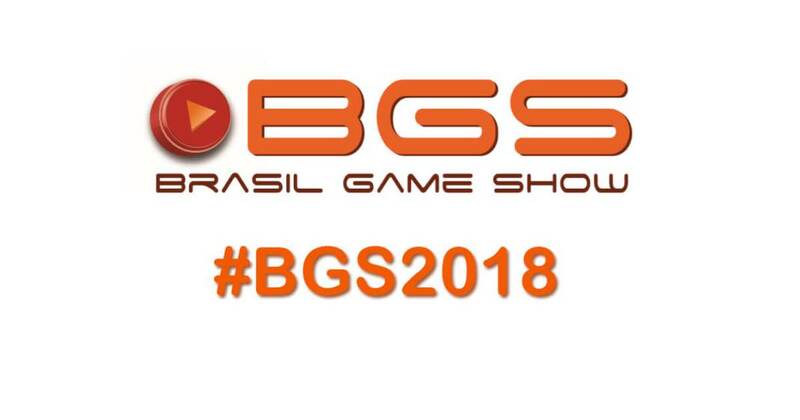 About Brasil Game Show – held for the first time in 2009, in Rio de Janeiro, as Rio Game Show, BGS is now on its way to its 11th edition. In 2018, the largest gaming event of Latin America will take place October 10th through 14th, at Expo Center Norte, in São Paulo.